Are you feeling a special extra dose of power brewing in your bones? That’s probably because March 8th marks International Women’s Day, and the spirit of celebrating women is here. Not only does International Women’s Day provide a much overdue opportunity to shout-out all the influential ladies in our lives, but it also gives us a ton of different ways to celebrate. 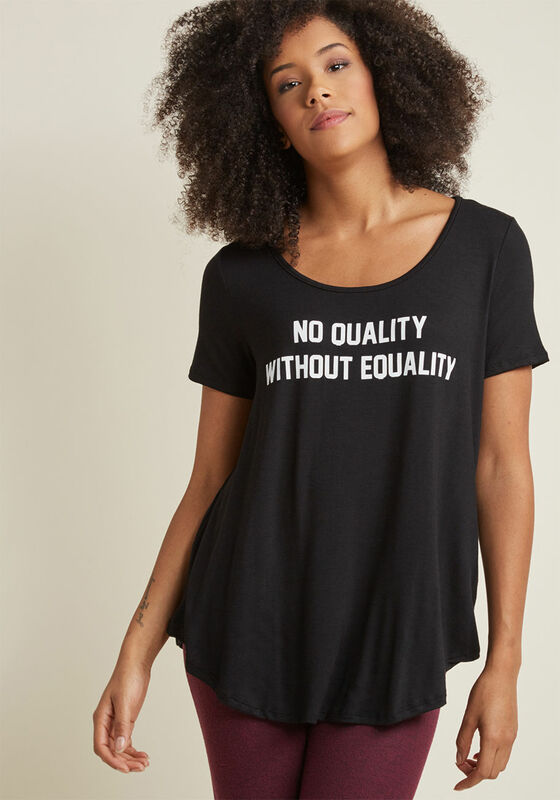 Since the day is dedicated to appreciating women in all of the possible ways, treating yourself to a cute (and feminist AF) T-shirt completely counts as a celebration of the holiday. 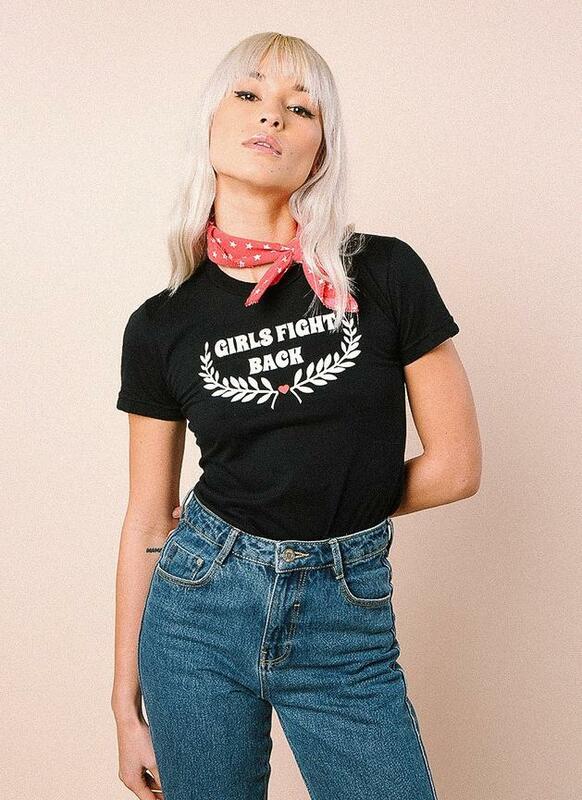 Naturally, we found shirts made by women-owned companies or that will speak to your feminist heart for your International Women’s Day shopping endeavors. One brand, in particular, is highlighting women for the entire month of March, which we can so get behind. 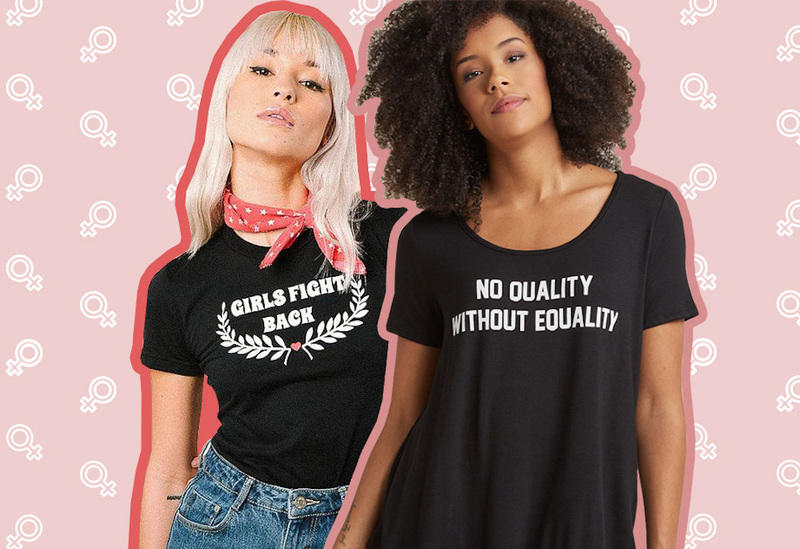 We’re talking about ModCloth — the brand is not only selling empowering tees, but they’re celebrating female vendors and female-owned brands on social media. If you want to join their movement, from now until March 8th, you can share the hashtag #WhatSheSaidMonth or #ModClothSweeps to enter in the running for two $100 gift cards (one for you and your BFF). The brand is pushing things even further with its other contest. If you use the hashtag #ModClothGivingContest, you can nominate a female friend, activist, or entrepreneur for a chance to get a $4,500 grant toward their cause as well as five hours of business coaching from #TeamModCloth. Pretty neat, right? 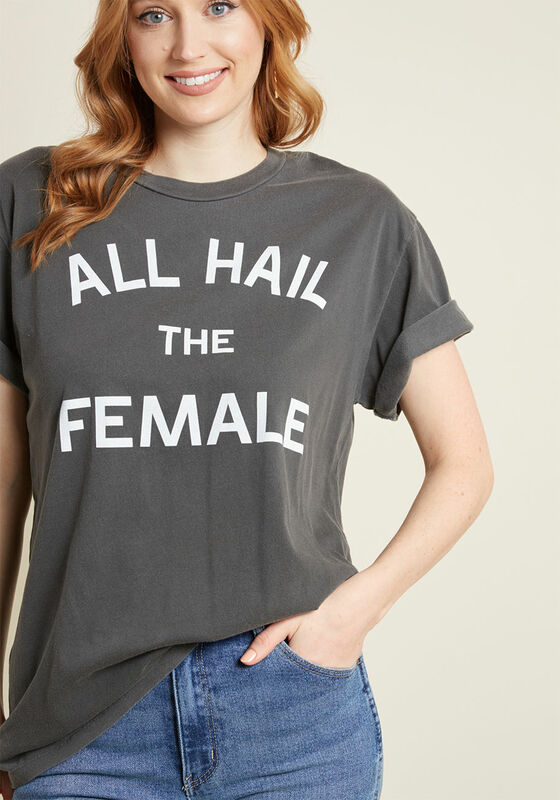 And ModCloth has plenty of feminist tees for your perusal. 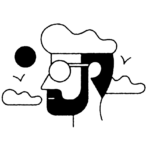 So whether you’re looking to stock up on shirts for spring or you’re in the market for a new statement piece, there are plenty of options for you. Please, pour yourself a drink, kick back in a comfy chair, and take a moment to celebrate yourself this International Women’s Day. First of all, this tee has the brightest and best color combination. 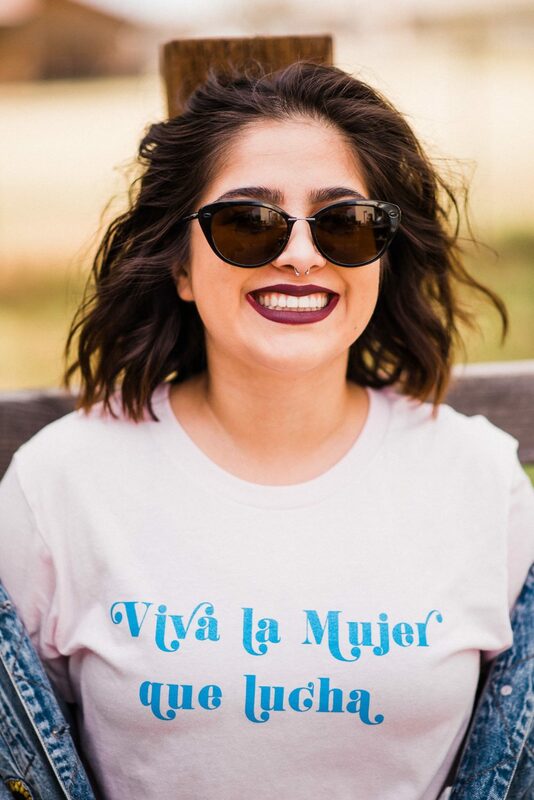 Second of all, the message is celebrating the spirit of women “who fight!” Thirdly, this is a Latinx female-owned business, so your dollars are directly supporting female entrepreneurs. We all know this is what Cyndi Lauper was truly hinting at. 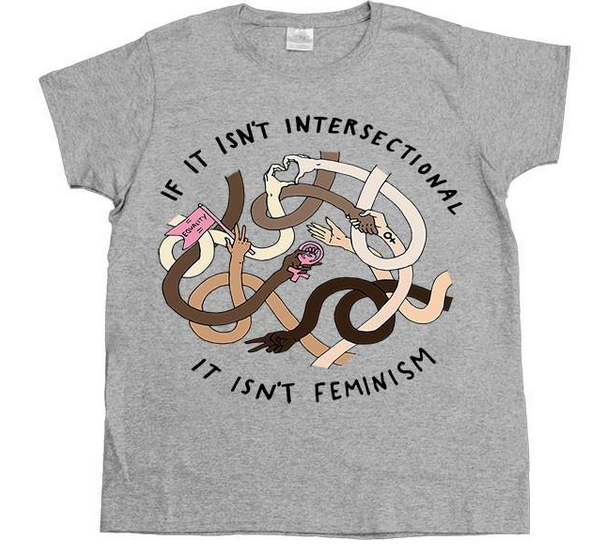 Per the website name, Feminist Apparel is a fabulous shopping stop for anyone looking to wear T-shirts that pack a punch. The message is simple but clear, which we dig. 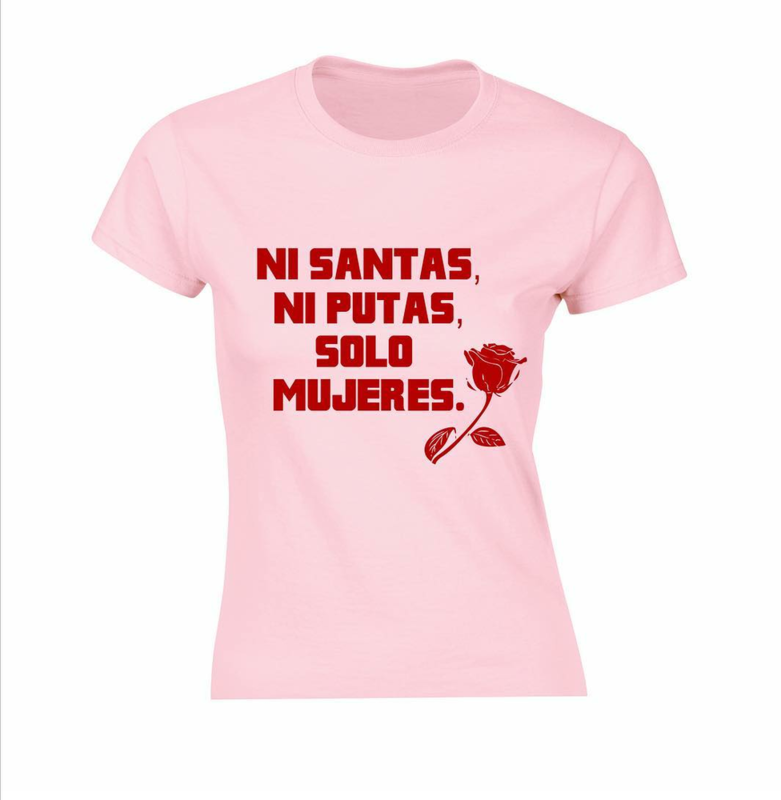 As the shirt says, we aren’t saints or sluts, we’re just WOMEN. ModCloth is THE place to shop this month, as we previously mentioned. 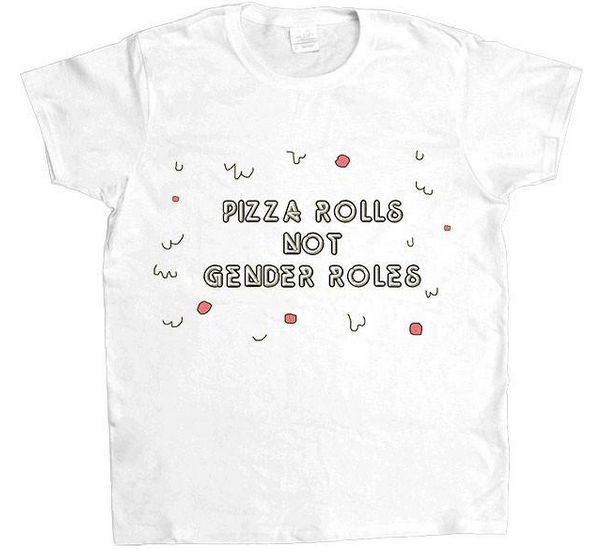 Who among us can argue with this progressive pizza-based proposition?! Where is the lie, though? 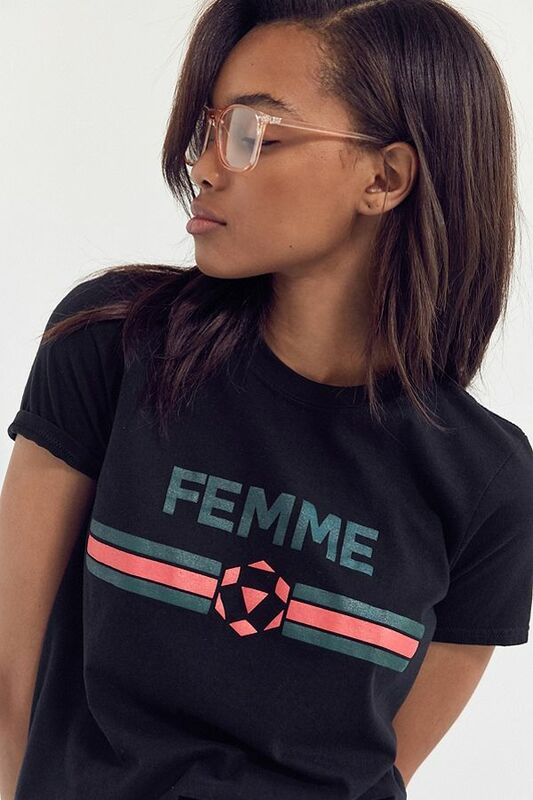 Embrace your femme fatale side on International Women’s Day with this sporty tee. 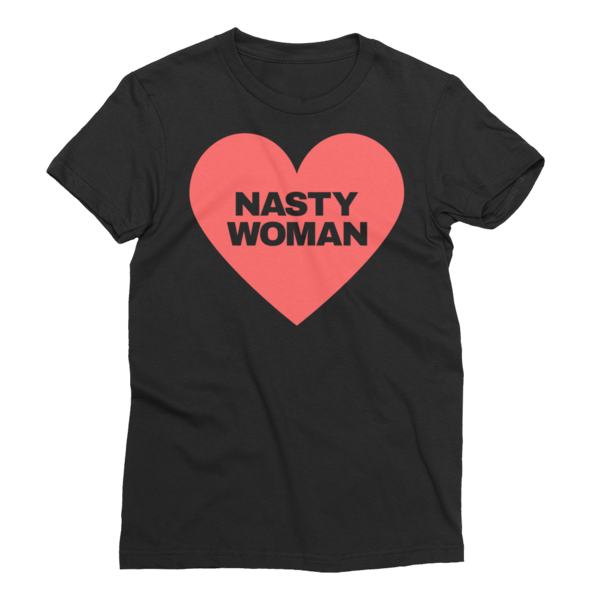 It doesn’t have to be election season for us to celebrate our nasty womanhood. 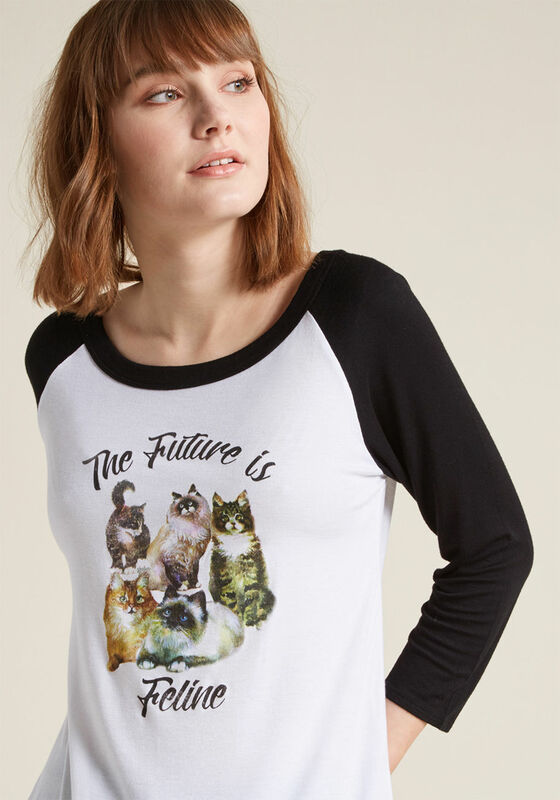 If all goes as planned, this shirt will cause passersby to bow down when they’re in your presence. This tells all your new friends and acquaintances everything they’ll need to know about you. This design is brilliant, and it speaks for itself. 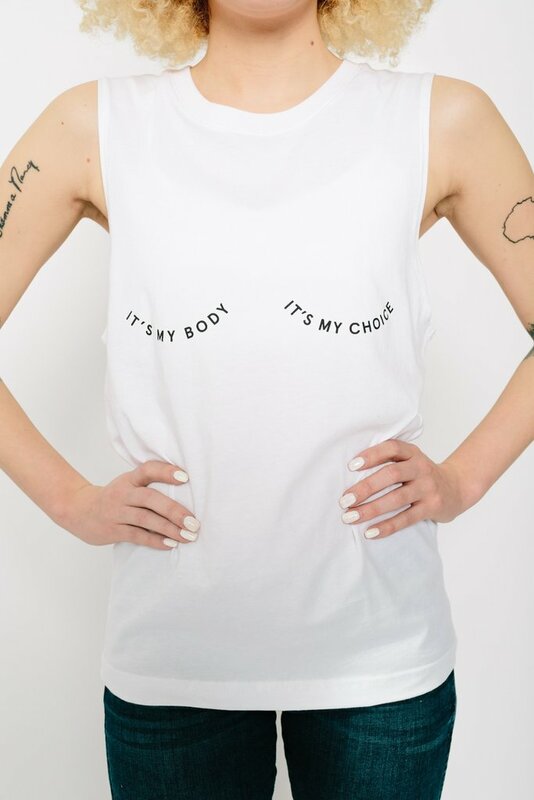 Plus, your purchase supports after-care programs and provides growth opportunities for survivors of sexual exploitation. This illustration is gorgeous and the message is beyond true. Sometimes the best way to celebrate your womanhood is by breaking down some basic facts for people. 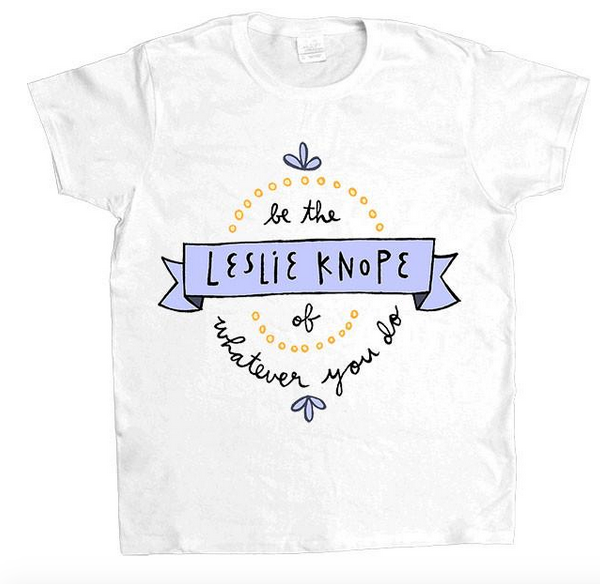 If there’s a fictional character who would support you during International Women’s Day, it’s Leslie Knope. Female, feline, is there really any difference for the cat lovers among us?! Being a woman isn’t easy, sometimes the best way to celebrate ourselves is to stick it to the jerks. 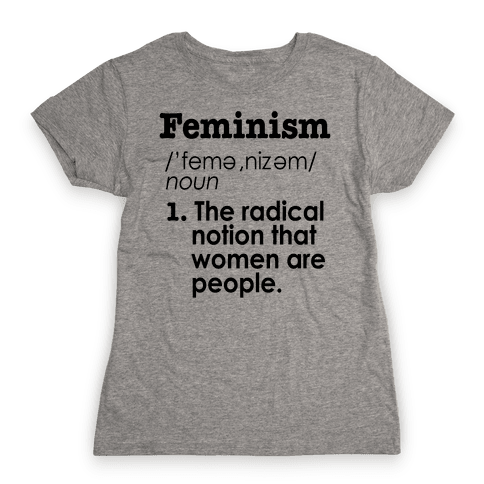 The perfect gift for yourself and all your feminist friends. 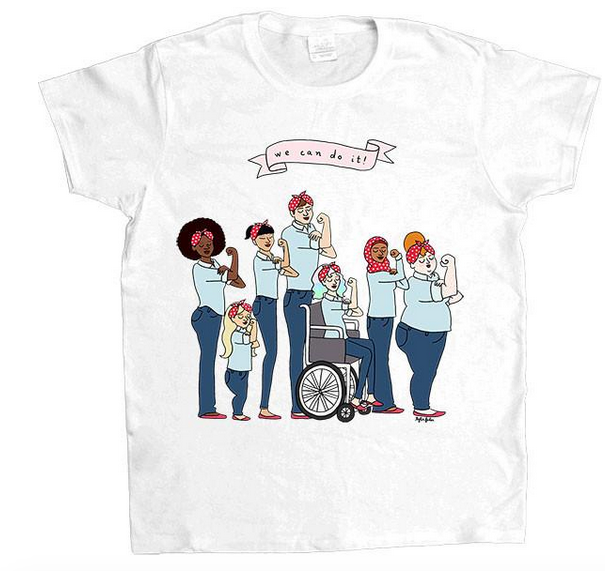 On top of being cute, 100% of the proceeds from this shirt go toward Support The Girls, which donates menstrual products and bras to homeless women. 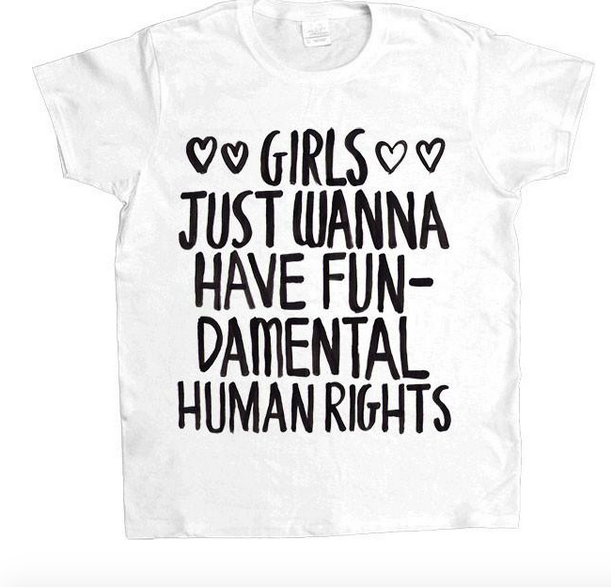 Whether you treat yourself to a new T-shirt or not, we hope you have an incredible International Women’s Day.